ITV head of drama Polly Hill has unveiled her first drama commissions since joining the UK commercial broadcaster from the BBC earlier this year. The broadcaster has commissioned four new dramas – Trauma, Girlfriends, White Dragon and Next of Kin – following Hill’s arrival as part of ITV director of television Kevin Lygo’s new senior management team. Each will be shot during 2017. Trauma, by Mike Bartlett, is set in a London hospital and tells the story of a 15-year-old who dies under the care of a high-achieving consultant. The three-part drama is produced by Tall Story Pictures, the newly created ITV Studios label founded by creative director Francis Hopkinson and executive producer Catherine Oldfield. 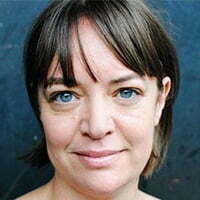 Hopkinson will executive produce the series with Oldfield, who has developed Trauma with Bartlett. ITV Studios Global Entertainment is responsible for international distribution. Meanwhile, Kay Mellor has created and written Girlfriends, a 6×60’ series from her indie Rollem Productions. The show follows three women who are each dealing with major life crises. White Dragon, from writers Mark Denton and Jonny Stockwood, will be an eight-part series shot on location in Asia. The series will be made by drama indie Two Brothers, which was established by writers and producers Harry and Jack Williams (The Missing, Fleabag, One of Us). Finally, thriller Next of Kin, from Paul Rutman and Natasha Narayan, follows the story of a psychologist who is left grief-stricken when her brother is brutally murdered. The series is written and created by husband-and-wife team Paul Rutman (Indian Summers, Vera) and Natasha Narayan. ITV-owned Poldark Indie Mammoth Screen is behind the six-part series. “All four are authored contemporary pieces from wonderful writers who have a compelling story to tell,” said Hill. In related news, ITV2 has unveiled four 30-minute single shows that will air in the run-up to the MOBO (Music of Black Origin) Awards on November 4. The Fresh season has been greenlit by entertainment commissioning editor Asif Zubairy and head of digital channels and acquisitions Rosemary Newell. The line-up consists of one-off specials All About The McKenzies from Bentavision/Sugar Films; Dropperz from Purple Geko Productions; Sorry, I Didn’t Know from TriForce Productions; and What’s The Facts from Transparent Television, covering a range of genres from mockumentary to scripted comedy.